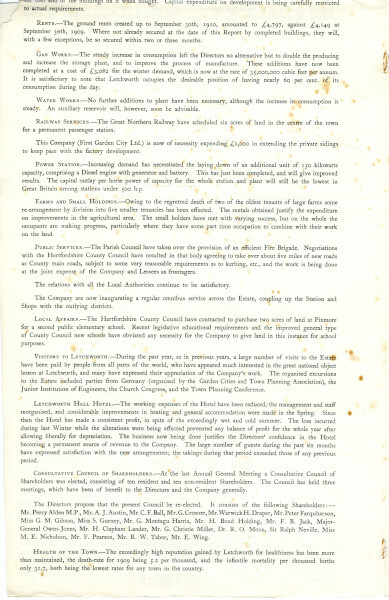 A directors' report from the First Garden City Limited. Dated 1910. 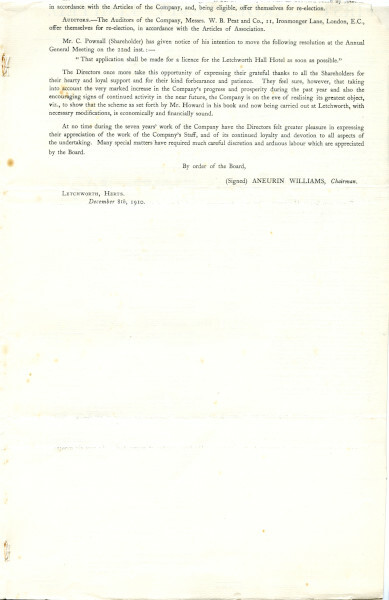 It lists the directors as: Aneurin Williams (chairman); Col. F.S.Bowring; Edward Cadbury; John E.Champney; Henry B Harriss; Ebenezer Howard; T.H.W.Idirs; L.R.King; Howard D. Pearsall; Edward T Sturdy; Franklin Thomaasson. 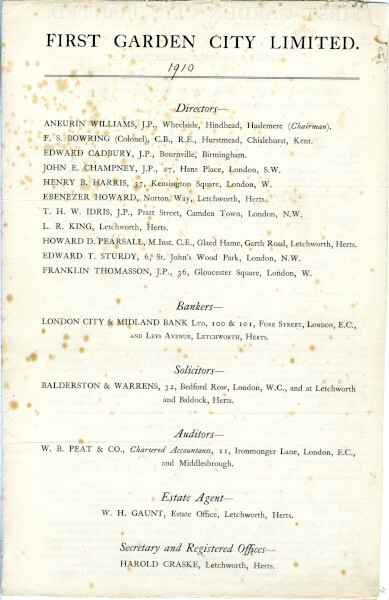 The estate agent is listed as W.H Gaunt and the Secretary as Harold Craske. 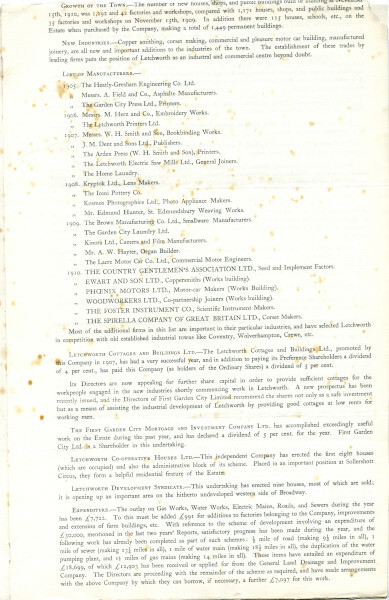 The report gives a list of manufacturers from 1905 to 1910 and a list of additional firms that support and sponsor building work in the Garden City. It lists the company expenditure including on gas works, water works, electric mains, roads and sewers and reports the improvement and developments made in these areas. 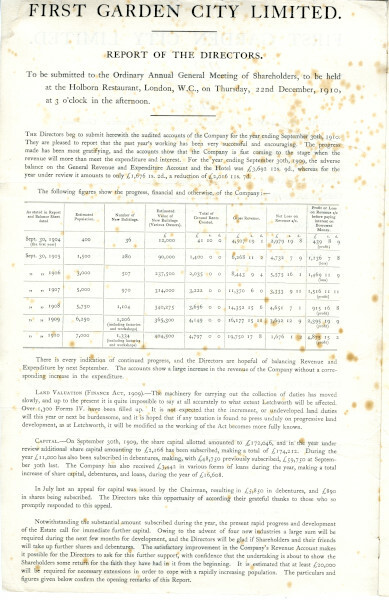 It lists that the Great Northern Railway had aquired 6 acres of land to build a permanent station at Letchworth. 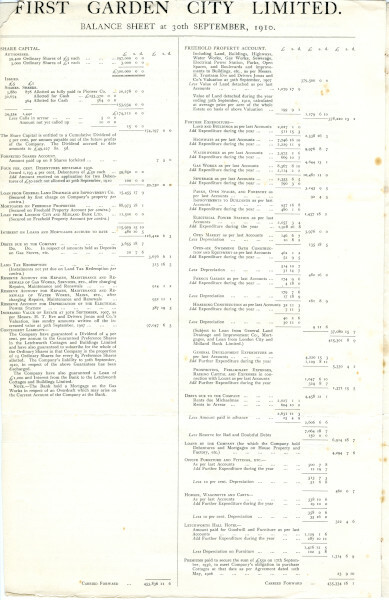 It lists details on the power station, farms and small holdings, schools, visits to the Garden City, the health of the town and the consultative council representatives and elections. 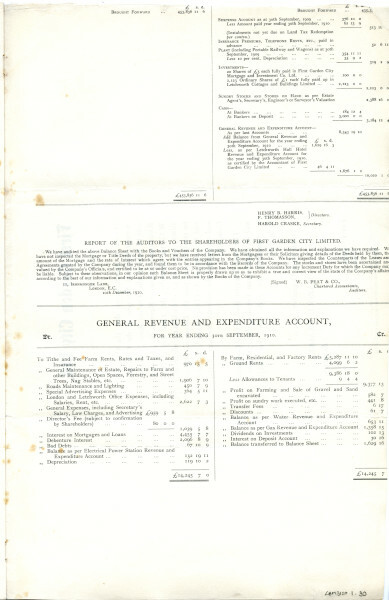 It then gives a statement of accounts including a balance sheet and general revenue and expenditure account. 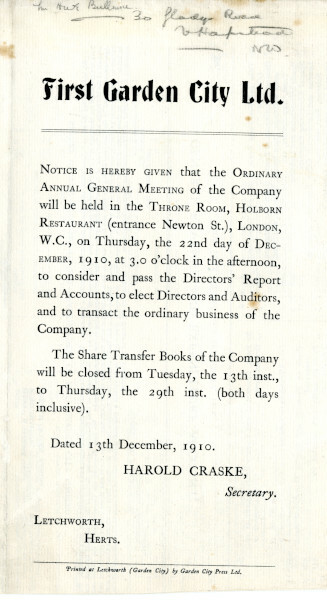 Dated 30th September 1910.